Looking Forward to 2019 Programs! There’s a high level of excitement here at CCA as we gear up for our 2019 program season! With expanding river trips, growing land-based programs, monitoring and stewardship trips, new partners, and exciting additions to our Adventures, CCA’s offerings to the community are something to look forward to! In 2019, we’re using our outfitting license to take over 850 students on nearly 40 river trips through the heart of our National Conservation Areas! We’ll be running trips on the Colorado and Gunnison Rivers, with many days at our Catalpa Camp - a science and adventure camp on the banks of the Colorado River. Working with partners such as D51 schools, Riverside Education Center, The Nature Connection, Hilltop’s Residential Youth Services, Eureka! Science Museum, Mesa & Delta County Partners, Get Outside and Learn Something (GOALS), the City of Fruita, and many others, local students will have the opportunity for outdoor experiential education, adventure-based leadership development trainings, and exciting new ways to experience their public lands! Interested in sponsoring students to get down river? Contact Killian Rush via killian@canyonsassociation.org or 970.263.7902. Between existing land-based education events and new additional programs, we’re taking over 2,500 students from Mesa, Montrose, and Delta counties out into the NCA’s for standards-based, hands-on learning! 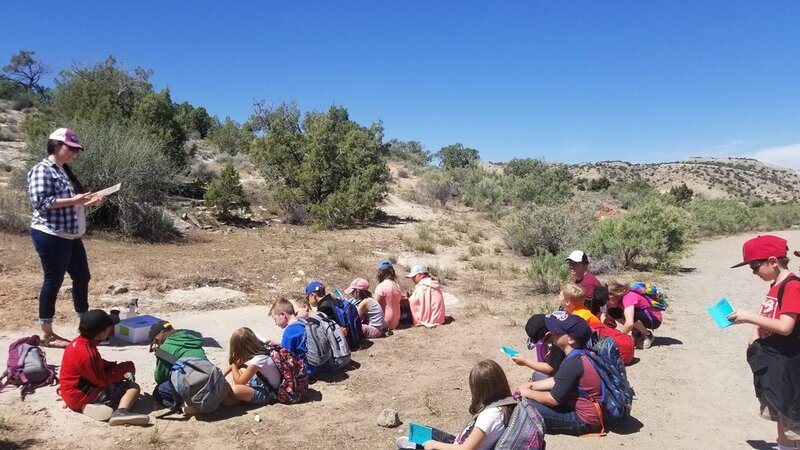 We’re excited to work with partners such as D51 schools, Dual Immersion Academy, Riverside Education Center (REC), The Nature Connection, Hilltop’s Residential Youth Services, the Ute Museum, Boy Scouts and so many others to bring the classroom outdoors. 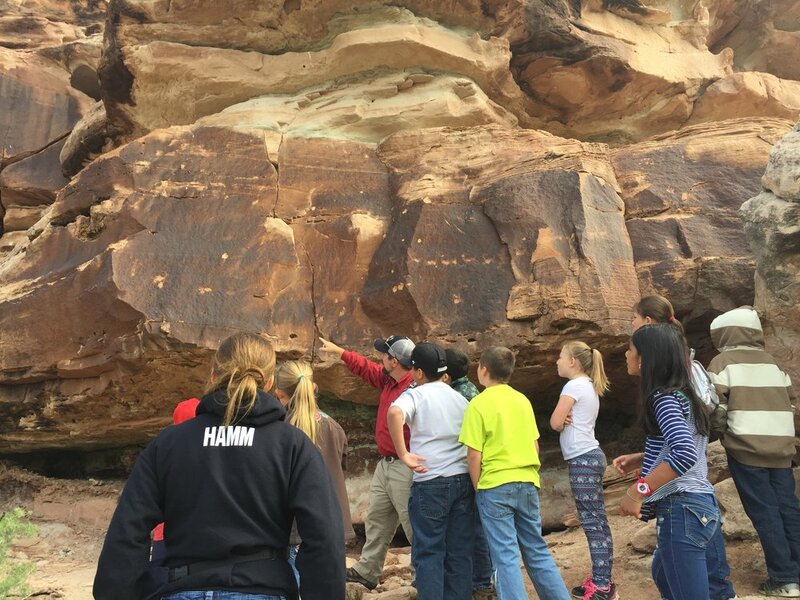 In addition to our existing events such as Nature Knowledge Days, Escalante Field Experience, and Cottonwood Days, we’re adding new programs to facilitate fly fishing and youth leadership for REC, expanding programs for Hilltops Residential Youth Services students, and so much more! This year we’re teaming up with great partners and guides to bring you some amazing adventures! Starting in April, we’ll be venturing out on the land and rivers of our National Conservation Areas to experience these places like never before. 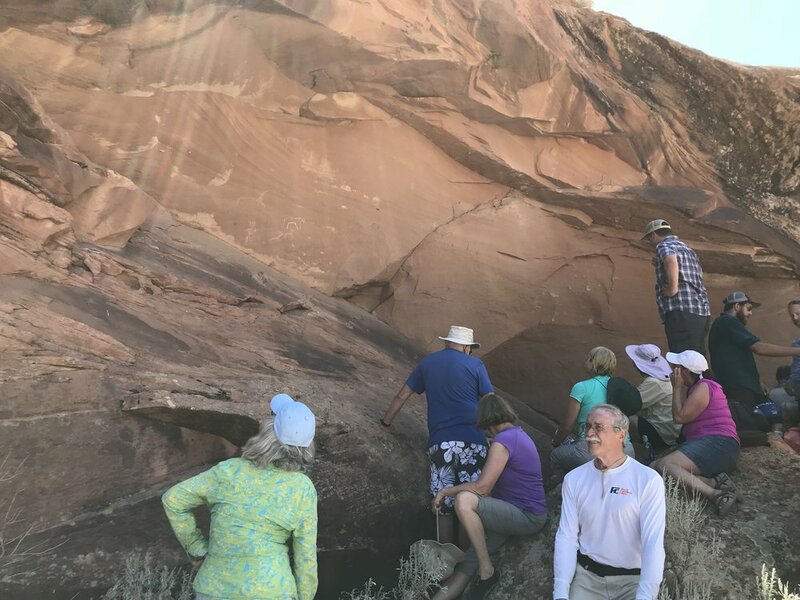 Join us for hiking trips up into Big Dominguez Canyon to observe rock art and wildlife such as bighorn sheep or venture down into Gunnison Gorge on an overnight backpacking trip. We are also offering a variety of specialty raft trips, including geology and paleontology floats, a spring birding trip, and an archaeologist-led trip to the Eagle Rock Shelter. You can also fulfill your desire to learn new skills by attending our fly fishing trip in October, this hobby is a great way to enjoy our National Conservation Areas and the gold medal trout waters they contain. With trips starting in less than a month, spots are filling up rapidly. Click below to learn more and reserve your place. Newer PostCCA’s New Volunteer Program Up and Running!